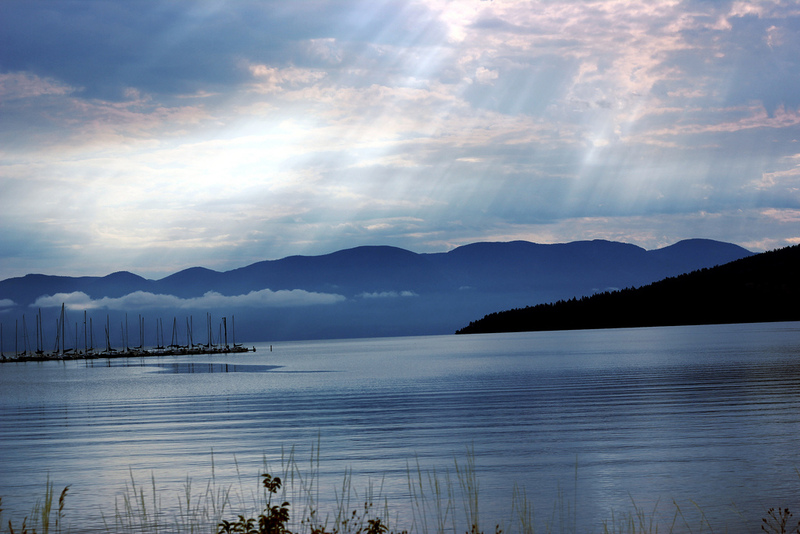 Flathead Lake, in the northwest corner of Montana, is the largest freshwater lake west of the Mississippi River. It is also one of the cleanest lakes of its size. There are 13 public access sites around the lake with ramps, picnic and swimming areas and toilets. In addition to the usual recreational activities (e.g., boating, water skiing and fishing), you might want to boat over to Wildhorse Island along the west shore of the lake, 2,000+ acres of bighorn sheep, mule deer, waterfowl, song birds, falcons, bald eagles and, yes, wild horses—five of them.